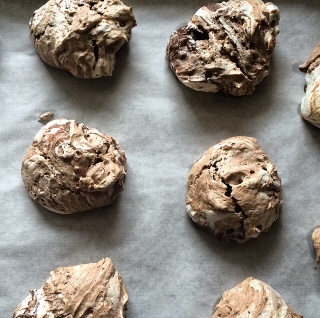 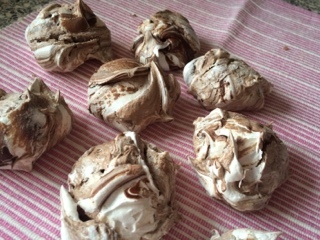 for hard meringues bake 90 minutes. 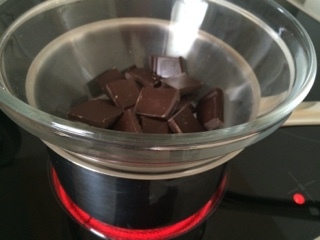 Melt the chocolate over a bain marie; set aside. 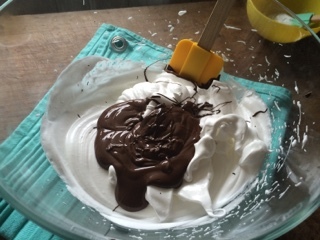 In a large bowl, beat the egg whites with a pinch salt use an electric mixer or electric hand beaters to whisk the egg whites until soft peaks form. 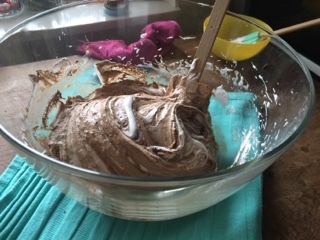 Add the sugar, a spoonful at a time, whisking until just combined. 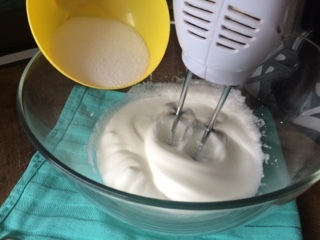 peak forms when the whisk is lifted. 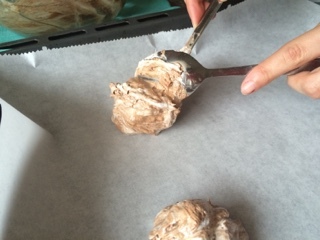 Scoop with 2 tablespoons the meringue onto the baking sheet. 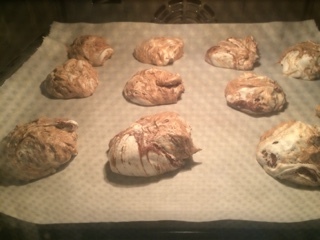 and for hard meringues 90 minutes. 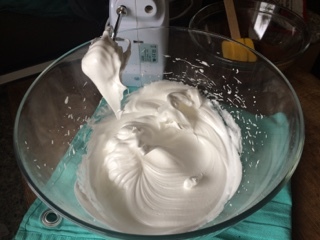 Store the meringues in an airtight container for up to 3 weeks.